WooCommerce Multicurrency Product Base Price module lets you set prices for WooCommerce products in different currencies. 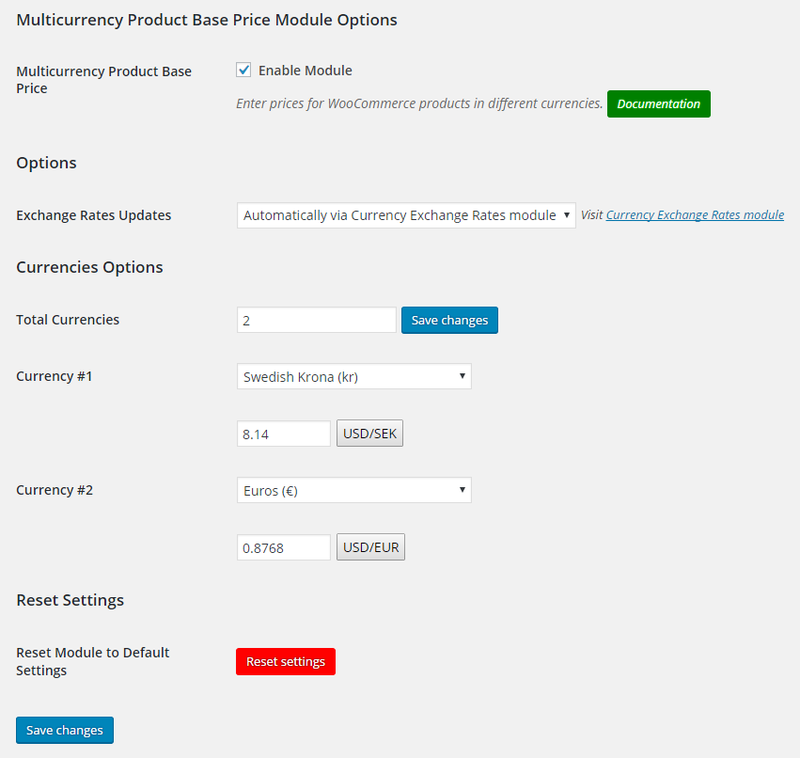 Enable module in WooCommerce > Settings > Booster > Prices & Currencies > Multicurrency Product Base Price. Add some currencies (not your store’s default) there. Set exchange rate, and/or enable automatic rate updates. If you are going to use automatic exchange rates, you will need to enable Booster’s Currency Exchange Rates module. Now go to product’s edit, there you will find new metabox which sets product’s base currency. Press Update. 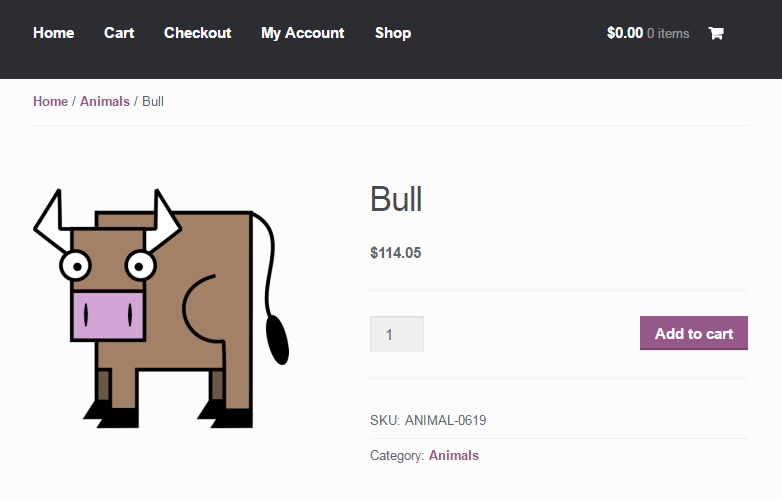 Now price which is entered in standard WooCommerce product price field, will be in new base currency that you selected, and will be automatically converted to your shop’s default currency on frontend. Woocommer Price filter widget not working with multicurrency product base price. I have two products . Price filter shows 1 USD to 1000 USD for USD currency selection. Price filter shows 1 INR to 1000 INR for INR currency selection. Only symbol is changed. Values are not calculated properly. i want to set the default currency of the Product Base Price.. Using Multicurrency Product Base Price module I have a trouble with price filters. Standard woocommerce price filter takes it’s minimum prices from base price in default currency. For example, we have default prices in roubles, with exchange rate ~ 60 roubles for a dollar. Base price in backend 100, in frontend 6000 RUB (we have set our product currency to USD). Woocommerce price filters take start price to 100 (in roubles). But that’s is out minor trouble. For example, I want to set filter from 100RUB to 5.000. If we have products for USD 100, it would be in selected range and it’s price in frontend would be 6000. I definitely need to solve that issue. Is there a workaround? Great job with this plugin. Lots of useful features. I am building a site that resells products from different suppliers. One product that is available is sold in USD, and the rest is in CAD. The client is fine with everything showing in USD for a US customer, but this one US product needs to always show in USD regardless of the user location. I’ve somewhat resolved the issue by displaying everything in the user’s currency, but in the process have discovered a new bug (possibly). Additionally, the dynamic price change is not showing at all above the ‘Add to Cart’ button on the product page. I would love to get this resolved as soon as possible. Is it possible to access resulting price via PHP? Bug found: Multicurrency Product Base Price Module is not working as intended. When following the instructions above the currency keeps reverting back to the sites default currency regardless of the base currency you select when you update the product.